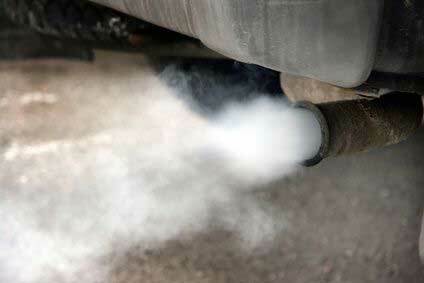 EGR Removal is becoming a popular choice for motorists as they become more problematic and expensive to repair/replace. The EGR valve gets blocked up for a number of reasons and when it does, it can effect the performance of the vehicle and become a costly fix. We can completely de-activate the EGR system on most vehicles old & new, our service is a completely bespoke and custom EGR delete service from start to finish. For more information, please call us for a quote today on 0844 847 9999. IF YOU’RE HAVING EGR PROBLEMS, WANT A QUOTE FOR REMOVAL OR EVEN JUST SOME FRIENDLY ADVICE – CALL US TODAY ON 0844 847 9999. An Exhaust Gas Recirculation Valve, often referred to as an EGR valve is a mechanical flap designed to recirculate exhaust gasses back into the engine before they exit the exhaust into the atmosphere. This means that the gasses are going through the combustion cycle twice before exiting and so reducing the emissions of the vehicle. In more technical detail, the EGR valve recirculates exhaust gasses back into the air/fuel mixture which in turn then dilutes the air/fuel mixture enough to keep the NOx compounds within breathable limits. This is done by allowing a specific amount of exhaust gasses enter into the inlet manifold via the EGR valve (dependant on throttle position, speed of the engine, outside air temperatures and so on..). Doing so, however, does reduce the rate of combustion and reduces the temperatures produced per combustion cycle and the end result is not only a reduced level of NOx compounds but also a significant decrease in performance from the vehicle. When working with exhaust gasses, nothing is clean. Recirculating exhaust gasses is basically dumping the carbon-rich gasses back into the inlet manifold from the exhaust manifold or even from the turbocharger. It is expected that over time, carbon build up will occur and can interfere with the operation of the EGR valve flap. It could cause problems with the flap opening and closing properly. If the vehicle is fitted with a turbocharger then the problems are more dramatic because with time, turbochargers are subject to wear & tear and so start leaking oil from the seals but naturally only in small quantities. This means not only will you have carbon-rich exhaust gasses passing through the EGR valve, but also oil. 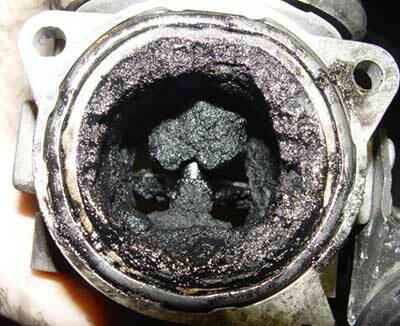 The oil & carbon mixture can quickly build up around the EGR valve and cause problems such as a sticky flap. – If your EGR valve flap is stuck open or stuck shut, then this is possibly the reason why. Furthermore, the EGR valve system allows the leaking oil to pass up through the inlet system and into the inlet manifold and combustion chambers – where it shouldn’t be! – This will cause fluttering and loss of power as well as oil smoke. These are some of the more common faults which can be related to the EGR system. In some cases the EGR valve can be removed and cleaned but this is only a temporary fix until the carbon builds up again and causes future problems. Replacement EGR valves can vary in price from anything as little as £150 to as much as £600. EGR valves are fitted to both petrol and diesel engines. The EGR Valve system effects all vehicles and below you can see we have had experience with all types of vehicles suffering from EGR problems. How much are you expected to pay on average for repairs? Ignoring the warning lights and allowing the EGR valve system to continue getting blocked up will eventually lead to a complete failure of the EGR system in which case it would require a replacement unit instead of cleaning. If you pick up on the problem and get it treated right away, then having the EGR removed and cleaned is not so expensive. It will vary from vehicle to vehicle – anything from £30 – £120 but if you leave it beyond repair, then you could be faced with a much bigger bill when taking into consideration the cost of a new part and labour to fit the part. How can SINSPEED help reduce this cost & what are the options? Other than cleaning and replacing the EGR valve system, there are two other more permanent solutions. Cleaning / replacing is a temporary fix to the on-going issues that many motorists are experiencing. So, what are your other two options? Blanking off the EGR valve was common practice on older vehicles where it wouldn’t interfere with the on-board engine management system, also known as the Engine Control Unit (ECU). However, it is not advised to blank off the EGR valve on newer vehicles because the ECU will detect a fault and this will in turn cause the ECU to log a fault code, turn on the engine management light which is an immediate MOT fail and also possibly put the vehicle in to LIMP HOME MODE (SAFE MODE) – This will restrict the power of the engine and also reduce the fuel economy. We offer a safe and completely bespoke EGR Delete session whereby we de-activate the EGR system entirely from the vehicle. There is no need to install blanking plates and modify the original design of the vehicle which is also visible to others. We simply log into the vehicles on-board engine management system via the ECU and switch off the EGR valve to stop it opening and recirculating the mucky exhaust gasses and clogging up your engine. – Also, because we’ve done this professionally and via the ECU.. there will be no logged fault codes, no warning lights and no loss of power – because the ECU will accept our de-activation code and not look to register anything further from the EGR system. What are the expected effects after having my EGR de-activated? After we have carried out the EGR Removal and de-activated it from the vehicle’s ECU, your engine will be able to breath a lot better because all the air coming into the engine will be clean. This means the combustion of the air/fuel mixture will be quicker and more powerful – what’s more the engine will stay cleaner for longer and this will decrease the wear on the engine as well as other mechanical components. Our EGR Delete (EGR Removal) option is very affordable here at Sinspeed, for a quote today just call us on 0844 847 9999. Will this cause me to fail an MOT? No, the EGR valve system is not a requirement for the MOT. Removing the EGR can in fact improve carbon emissions of the vehicle so it could in actual fact help to improve the vehicles emissions providing the EGR Removal (EGR Delete) session has been carried out professionally. We manually download the ECU data and scan through the 1000’s of data strings to manually de-activate the entire EGR system and modify certain parameters to then compensate for the vehicle not having the EGR system active. This will aid a more fuller combustion per cycle of the engine and help maintain better emissions from the vehicle. For bookings & more information, please call us on 0844 847 9999. Tags : 1.9 TDI, 2.0 TDI, 2.5 TDI, 2.7 TDI, 3.0 TDI, 4.2 TDI, 5.0 TDI etc. Exhaust Gas Recirculation Valve (EGR) problems, Alfa Romeo Exhaust Gas Recirculation Valve (EGR) problems fixed, Audi - 1.4 TDI, Blocked EGR, Blocked EGR Valve, Blocked EGR Valve - Our EGR De-Activation Solution, Blocked EGR Valve - Our EGR Removal Solution, Blocked EGR Valve System - Our EGR Delete Solution, BMW & Mini Exhaust Gas Recirculation Valve (EGR) problems fixed, can i remove my EGR, Chevrolet Exhaust Gas Recirculation Valve (EGR) problems fixed, Citroen Exhaust Gas Recirculation Valve (EGR) problems fixed, common EGR problems, EGR Additives, EGR Delete, EGR Delete mot, EGR Delete safety, EGR light on dash, EGR Problem, EGR Problems, EGR Removal, EGR removal mot, EGR removal safety, Exhaust Gas Recirculation Valve Delete, Exhaust Gas Recirculation Valve EGR Failures, Exhaust Gas Recirculation Valve EGR Faults, Exhaust Gas Recirculation Valve EGR Light On Dash Board Problems Fixed, Exhaust Gas Recirculation Valve EGR Problems, Exhaust Gas Recirculation Valve Failures, Exhaust Gas Recirculation Valve Faults, Exhaust Gas Recirculation Valve Problems, Exhaust Gas Recirculation Valve Removal, Exhaust Gas Recirculation Valve Repairs, Exhaust Gas Recirculation Valve repairs ecu renault. Hi I have a 2013 VW sharan and I want egr to be deleted how much will this cost me.